Many types of jumping movements can be readily arranged into a progressive curriculum by the imaginative coach who is able to link the principles of sound technique to the jumping context. Stand with feet shoulder-width apart and feet facing forward. Initially, place hands to the sides of the head with elbows pointing laterally. Then progress to arms overhead with elbows extended. A coaching method that goes somewhat towards combining aspects of both the drill and the games approaches is the guided discovery technique. 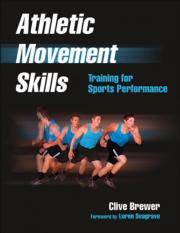 create functional strength progressions that will directly translate to on-field performance.